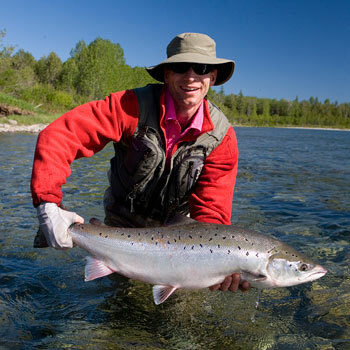 Topher Browne worked as a professional guide for many years and has fished for Atlantic salmon in Canada, Iceland, Scotland, Norway and Russia. As a casting instructor, the author of Atlantic Salmon Magic (Wild River Press, 2011) co-wrote and co-produced the spey-casting DVD, Spey to Z (2006). Trained and mentored in fly tying by the late Warren Duncan of Saint John, New Brunswick, Browne’s superb flies appear in various magazines and books, including the companion volume to the above title, 100 Best Flies for Atlantic Salmon, 2011). He lives in Portland, Maine. Topher Browne worked as a professional guide and has fished for Atlantic salmon in Canada, Iceland, Scotland, Norway and Russia. Listen in to hear his secrets on hooking up with and landing these incredible fish.